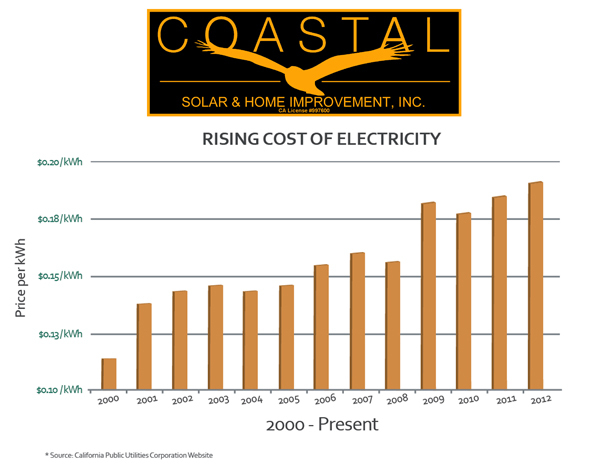 Coastal Solar & Home Improvement, Inc is one of San Diego County’s premier solar companies with over a decade of experience designing and installing residential Solar PV Systems. WHY SOLAR? Why consume energy when you can generate energy with your Solar PV System? •	Decrease your carbon footprint All by producing clean, cost-efficient energy harnessed by the sun! WHY SOLARWORLD? SOLARWORLD has been the largest US solar manufacturer for more than 35 years and is recognized as America’s solar leader. SOLARWORLD panels are made in the USA with a commitment to quality and manufacturing excellence exceeding the highest standards! Together, we can break America’s dependence on foreign and nonrenewable energy supplies – cleanly and sustainably while supporting the American economy! As the largest and most experienced solar manufacturer in the USA, SOLARWORLD’S SUNMODULE SOLAR PANELS are designed and manufactured to the highest standards of quality, performance and durability. SOLARWORLD SUNMODULE PLUS solar panels are available with silver or black components. These modules meet our stringent SOLARWORLD quality standards and meet and exceed all industry standards and certifications including a 25-YEAR LINEAR WARRANTY to guarantee maximum performance through the lifetime of your system.